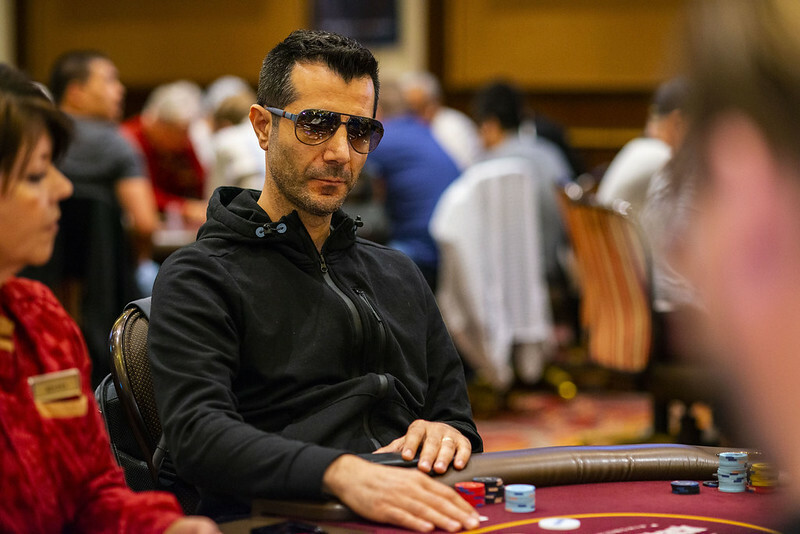 Current WPT Player of the Year standings leader Erkut Yilmaz is all in for roughly 80,000 from under the gun against Kfir Nahum in the small blind. Yilmaz has the lead with his against Nahum’s , and when both players flop a pair with their kicker, Yilmaz has Nahum drawing to just two outs. Unfortunately for the two-time WPT Champions Club winner, the river lands another , and he is eliminated.